Nifty opened flat but saw the sellers take control from the morning to move the index to the lows of the day around 5811. The buyer came back to move the index back around the previous day’s close but closed weak at 5873.85, a small loss of 18.60 points. The broader market was negative, with 554 advances to 734 declines. 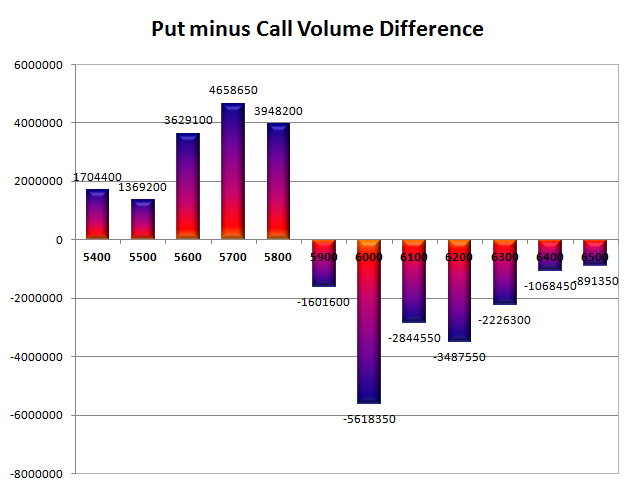 The Option Table range for expiry comes around 5800-5960 with 5900 acting as Pivot. Call option 5800-6000 added 16.96 lacs huge amount of OI with profit booking seen at 6100 and above strike price. 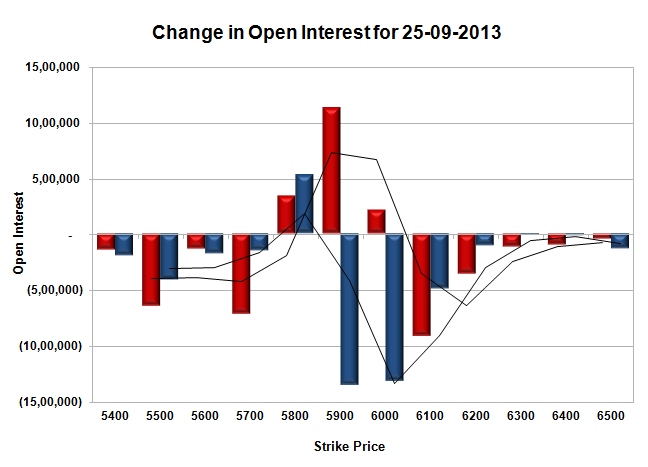 Put option 5800 added 5.30 lacs huge amount of OI with short covering seen at 5900 and above strike prices. 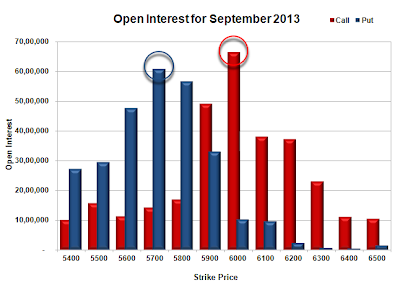 Nifty Open Interest is at 1,19,55,850 down by 17,14,500, whereas October series added 20.43 lacs, with small decrease in price, most probably 100% rollover with short build-up in new series. Bank Nifty Open Interest is at 12,34,575 down by 1,27,025, whereas October series added 2.79 lacs, with decrease in price, most probably 100% rollover with huge short build-up in new series. FII’s sold huge 2.67 lacs Futures, mostly short build-up, as their net OI increased by 11270 contracts (includes 154588 longs and 159934 shorts) and the average price per contract comes to around 5794.89. FII’s future open contract as on date is 675169. PCR Open Interest (Volume) is at 1.518. 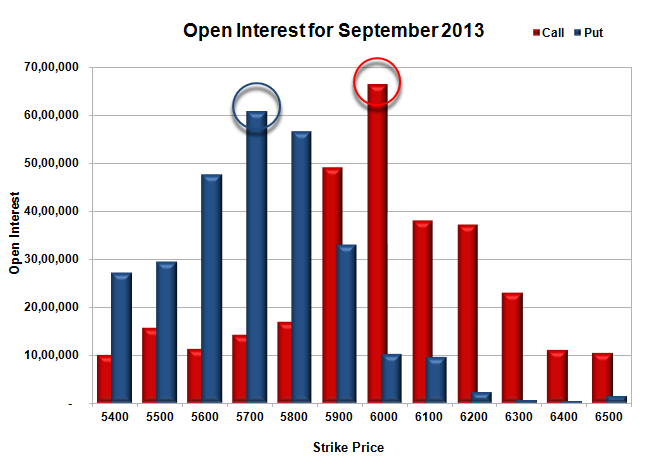 Support still exist at 5800, with OI of 56.58 lacs, below that at 5700, with huge OI of 60.91 lacs. Initial resistance at 5900, with OI of 49.16 lacs, above that at 6000 with highest OI of 66.53 lacs. Expiry Day Range as per Option Table is 5774 - 5962 and as per VIX is 5795 - 5953 with 5865 as the Pivot.